Sweet, delicious, gorgeous, and definitely healthy!!! 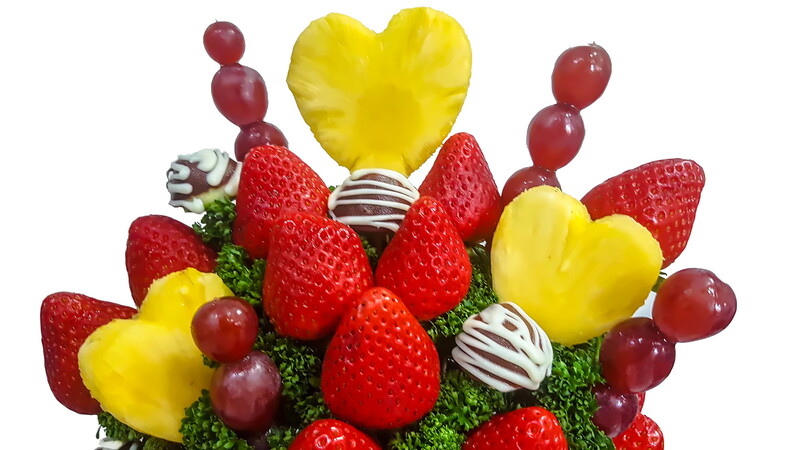 Fruit Bouquet or FRUIQUET is the first of its kind here in the Philippines. Flowers are awesome, but I’d rather give or receive something that’s pretty and edible. And this is the answer. A bouquet packed with vitamins and minerals. Special FruiQuet “Valentine Bundles” are available on Feb 12, 13 and 14. Other Fruiquet products are not available on those dates. The fruits used for the fruiquets include strawberries, pineapples, apples, grapes, kiwi, melon and honeydew. Parsley is used to add the green color. There are 40 variants to choose from (except on February 12, 13 and 14) ranging from Php490 to Php3,950. Check their website at www.fruiquet.com for updates in their menu. And if you have something else in mind, you can share your idea and ask them to customize the arrangement you prefer. They request for one to two days to prepare your fruiquet.